A newly discovered cache of internal documents reveals that the sugar industry downplayed the risks of sugar in the 1960s. The article draws on internal documents to show that an industry group called the Sugar Research Foundation wanted to "refute" concerns about sugar's possible role in heart disease. The SRF then sponsored research by Harvard scientists that did just that. The result was published in the New England Journal of Medicine in 1967, with no disclosure of the sugar industry funding. The sugar-funded project in question was a literature review, examining a variety of studies and experiments. It suggested there were major problems with all the studies that implicated sugar, and concluded that cutting fat out of American diets was the best way to address coronary heart disease. The authors of the new article say that for the past five decades, the sugar industry has been attempting to influence the scientific debate over the relative risks of sugar and fat. "It was a very smart thing the sugar industry did, because review papers, especially if you get them published in a very prominent journal, tend to shape the overall scientific discussion," co-author Stanton Glantz told The New York Times. In the article, published Monday, authors Glantz, Cristin Kearns and Laura Schmidt aren't trying make the case for a link between sugar and coronary heart disease. Their interest is in the process. They say the documents reveal the sugar industry attempting to influence scientific inquiry and debate. The researchers note that they worked under some limitations — "We could not interview key actors involved in this historical episode because they have died," they write. Other organizations were also advocating concerns about fat, they note. There's no evidence that the SRF directly edited the manuscript published by the Harvard scientists in 1967, but there is "circumstantial" evidence that the interests of the sugar lobby shaped the conclusions of the review, the researchers say. For one thing, there's motivation and intent. In 1954, the researchers note, the president of the SRF gave a speech describing a great business opportunity. If Americans could be persuaded to eat a lower-fat diet — for the sake of their health — they would need to replace that fat with something else. America's per capita sugar consumption could go up by a third. But in the '60s, the SRF became aware of "flowing reports that sugar is a less desirable dietary source of calories than other carbohydrates," as John Hickson, SRF vice president and director of research, put it in one document. He recommended that the industry fund its own studies — "Then we can publish the data and refute our detractors." The next year, after several scientific articles were published suggesting a link between sucrose and coronary heart disease, the SRF approved the literature-review project. It wound up paying approximately $50,000 in today's dollars for the research. One of the researchers was the chairman of Harvard's Public Health Nutrition Department — and an ad hoc member of SRF's board. Glantz, Kearns and Schmidt say many of the articles examined in the review were hand-selected by SRF, and it was implied that the sugar industry would expect them to be critiqued. In a letter, SRF's Hickson said that the organization's "particular interest" was in evaluating studies focused on "carbohydrates in the form of sucrose." "We are well aware," one of the scientists replied, "and will cover this as well as we can." The project wound up taking longer than expected, because more and more studies were being released that suggested sugar might be linked to coronary heart disease. But it was finally published in 1967. Hickson was certainly happy with the result: "Let me assure you this is quite what we had in mind and we look forward to its appearance in print," he told one of the scientists. The review minimized the significance of research that suggested sugar could play a role in coronary heart disease. In some cases the scientists alleged investigator incompetence or flawed methodology. "It is always appropriate to question the validity of individual studies," Kearns told Bloomberg via email. But, she says, "the authors applied a different standard" to different studies — looking very critically at research that implicated sugar, and ignoring problems with studies that found dangers in fat. Epidemiological studies of sugar consumption — which look at patterns of health and disease in the real world — were dismissed for having too many possible factors getting in the way. Experimental studies were dismissed for being too dissimilar to real life. One study that found a health benefit when people ate less sugar and more vegetables was dismissed because that dietary change was not feasible. Another study, in which rats were given a diet low in fat and high in sugar, was rejected because "such diets are rarely consumed by man." The Harvard researchers then turned to studies that examined risks of fat — which included the same kind of epidemiological studies they had dismissed when it came to sugar. Citing "few study characteristics and no quantitative results," as Kearns, Glantz and Schmidt put it, they concluded that cutting out fat was "no doubt" the best dietary intervention to prevent coronary heart disease. Sugar lobby: "Transparency standards were not the norm"
In a statement, the Sugar Association — which evolved out of the SRF — said it is challenging to comment on events from so long ago. "We acknowledge that the Sugar Research Foundation should have exercised greater transparency in all of its research activities, however, when the studies in question were published funding disclosures and transparency standards were not the norm they are today," the association said. "Generally speaking, it is not only unfortunate but a disservice that industry-funded research is branded as tainted," the statement continues. "What is often missing from the dialogue is that industry-funded research has been informative in addressing key issues." "Is it really true that food companies deliberately set out to manipulate research in their favor? Yes, it is, and the practice continues. In 2015, the New York Times obtained emails revealing Coca-Cola's cozy relationships with sponsored researchers who were conducting studies aimed at minimizing the effects of sugary drinks on obesity. Even more recently, the Associated Press obtained emails showing how a candy trade association funded and influenced studies to show that children who eat sweets have healthier body weights than those who do not." As for the article authors who dug into the documents around this funding, they offer two suggestions for the future. "Policymaking committees should consider giving less weight to food industry-funded studies," they write. 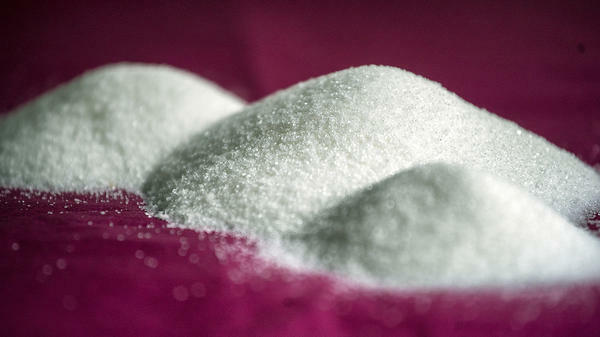 They also call for new research into any ties between added sugars and coronary heart disease. For many Milwaukee students, the first day of school is just around the corner, which also means a return to the lunchroom. School lunches have been a hot button topic for years. First Lady Michelle Obama has made it her mission to make them healthier, and politicians from both sides of the aisle have voiced their own opinions on the issue. 9-year-old Raya El-Hajar had an exciting summer. She won the 2016 Healthy Lunchtime Challenge. Then, First Lady Michelle Obama welcomed Raya and 55 fellow chefs from around the country to the White House last month to celebrate their achievements. The 5th annual challenge was designed to encourage 8 to 12 year olds to create an original, healthy, tasty and affordable lunch recipe. More than 1200 applications flowed in for review. Dealing Coke to customers called "heavy users." Selling to teens in an attempt to hook them for life. Scientifically tweaking ratios of salt, sugar and fat to optimize consumer bliss. 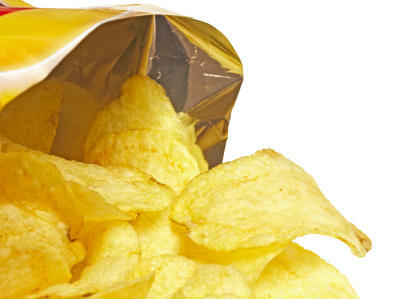 In his new book, Salt Sugar Fat: How the Food Giants Hooked Us, Pulitzer Prize-winning journalist Michael Moss goes inside the world of processed and packaged foods.